The pre-owned vehicle experts at Faraz Auto Sales in North York are excited to show you our vast selection of cars designed to meet every personal need and preference. Our team of friendly professionals is ready to answer any of your questions as we invite you to get behind the wheel of any of our used cars for a test drive. 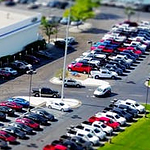 We welcome the opportunity to serve you and all of your automotive purchasing and servicing needs today!